In 1975, Judith Skutch met with Dr. Helen Schucman and Dr. William Thetford in their office at Columbia University's College of Physicians and Surgeons in New York City. After exploring many common interests, Helen and Bill revealed to Judith their well-kept secret regarding a document they had scribed called A Course in Miracles. Bound by common enthusiasm for this remarkable spiritual teaching, the group began meeting regularly. 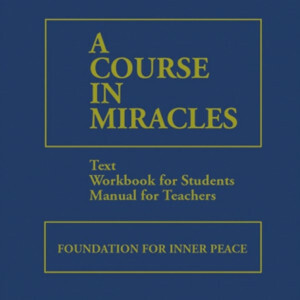 Within months the decision was made to publish A Course in Miracles. The Foundation for Inner Peace was established as trustee and publisher of the Course. 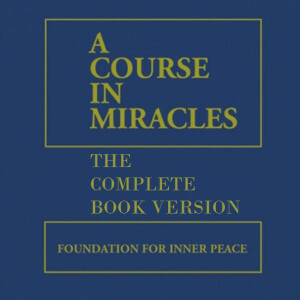 The Foundation for Inner Peace published the first edition of A Course in Miracles in 1975, and the rest is a bit of wonderful history. In 1975, Dr. Schucman assigned copyright of the Course to the Foundation for Inner Peace (FIP). In 1996 FIP assigned the copyright and trademark to our affiliated organization, the Foundation for A Course in Miracles (FACIM). Currently there are nearly three million copies of the Course in circulation worldwide including translations in Afrikaans, Bulgarian, Chinese-Simplified, Chinese-Traditional, Croatian, Czech, Danish, Dutch, Finnish, French, German, Greek, Hebrew, Hungarian, Japanese, Italian, Norwegian, Polish, Portuguese, Romanian, Russian, Slovene, Spanish, and Swedish with more to come. Our affiliated organization, the Foundation for A Course in Miracles is an Academy and Retreat Center for A Course in Miracles located in Temecula, CA. It was founded in 1983 by Dr. Kenneth Wapnick and Gloria Wapnick. As a teaching center, it was conceived and has always functioned as a school for A Course in Miracles under the direction of Kenneth and Gloria Wapnick—husband and wife—who served as both administrators and faculty members until the passing of Dr. Kenneth Wapnick in December 2013. The Foundation for A Course in Miracles continues the work of Dr. Kenneth Wapnick under the guidance of Gloria Wapnick.